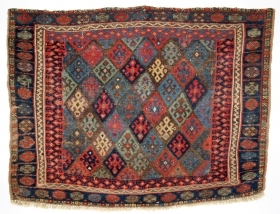 active since January, 16, 2008. 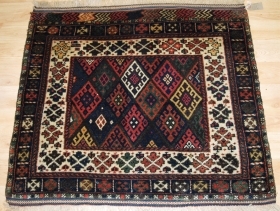 Antique Uzbek embroidered felt, size: 345 x 126cm. 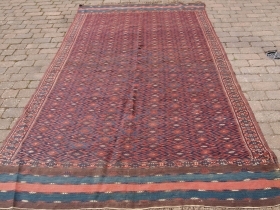 d-160. 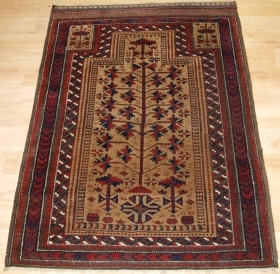 Yomut Turkmen 'pallas' kilim with unusual long kilim ends. 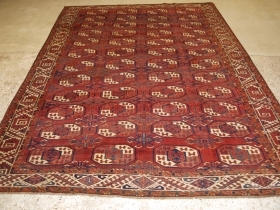 Size: 345 x 178cm (11ft 4in x 5ft 10in). 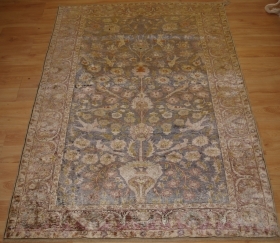 d-1058. 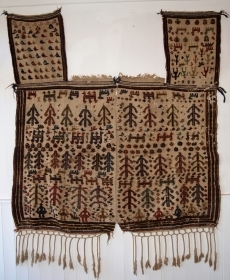 Yomut Turkmen 'pallas' kilim with long decorated kilim ends. 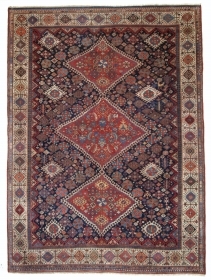 Size: 320 x 206cm (10ft 6in x 6ft 9in). 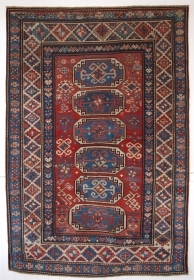 d-1101. 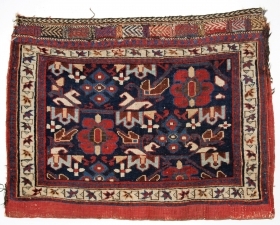 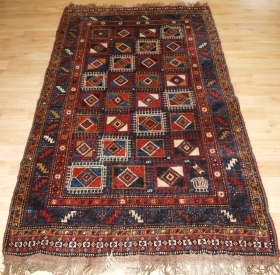 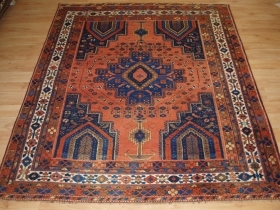 Yomut Turkmen 'pallas' kilim with long kilim ends. 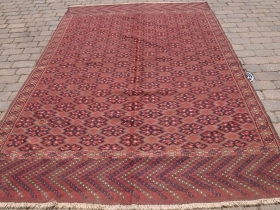 Size: 340 x 200cm (11ft 2in x 6ft 7in). 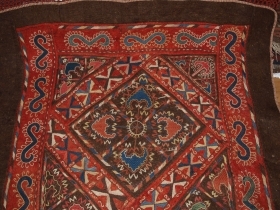 d-888. 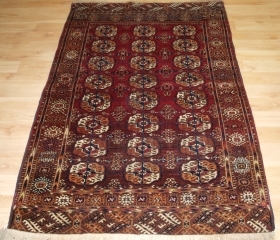 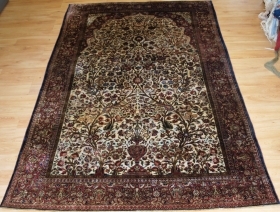 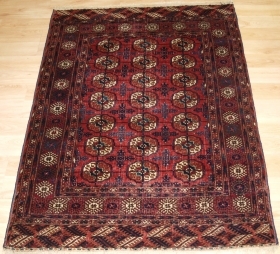 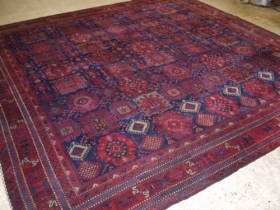 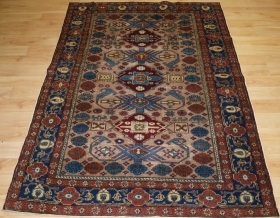 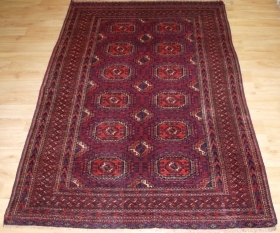 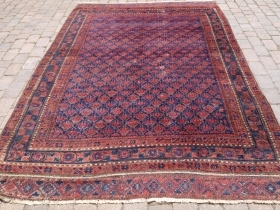 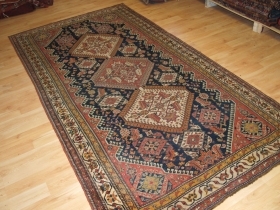 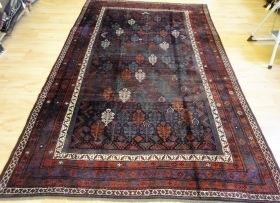 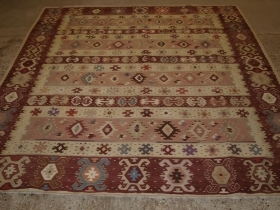 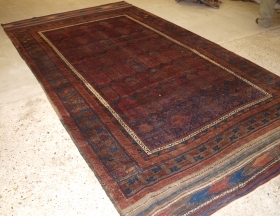 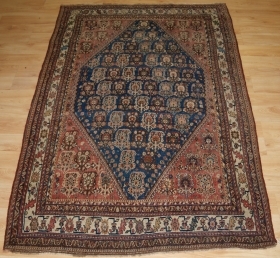 Qashqai rug in outstanding condition with interesting design, Size: 210 x 112cm. 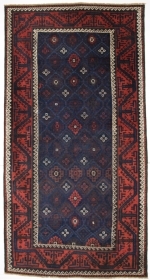 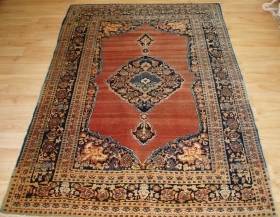 Superb Afshar long rug with boteh design, outstanding colour, size: 278 x 159cm. 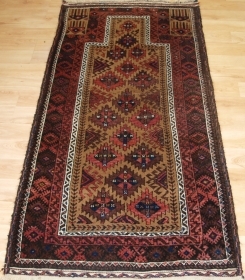 Jaf Kurd bag face, Large size. 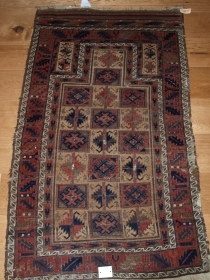 Jaf Kurd bag face, Size: 2ft 4in x 2ft 2in (71 x 65cm). 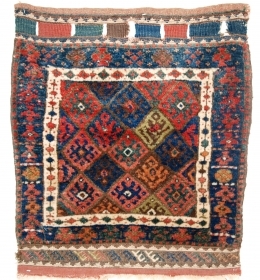 Jaf Kurd bag face, Size: 2ft 3in x 1ft 11in (69 x 58cm). 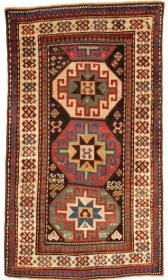 Kazak rug, Moghan region, Size: 205 x 139cm. 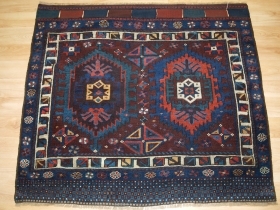 Baluch bag face, very nice small size, full pile, size: 66 x 60cm. 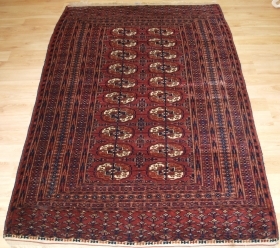 Very good Qashqai Tribal horse cover, size: 153 x 145cm excluding tassels. 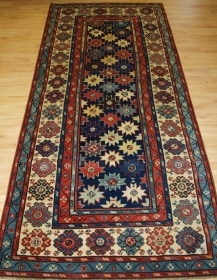 a very good Western Afghan Baluch main carpet great colours and long kilim ends. 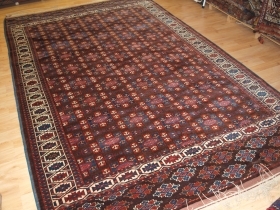 370 x 200cm. 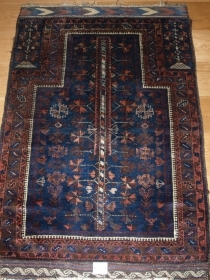 Good Kurdish or Baluch rug with shrub design, size: 263 x 174cm. 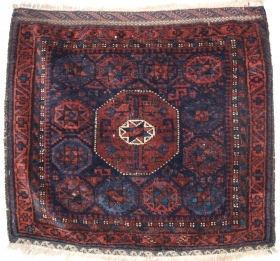 Kazak with Memlinc guls within octagons, 2nd half 19th century. 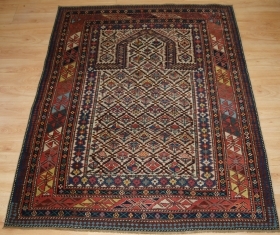 Size: 201 x 112cm. 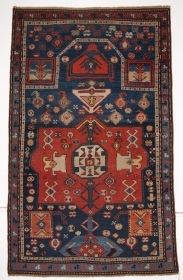 Interesting Afghan Baluch main carpet, note the change in field design. 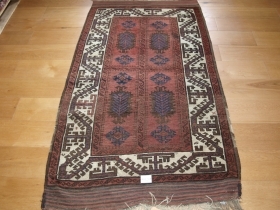 Very long kilim ends. 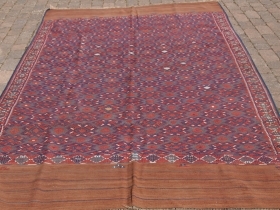 Size: 370 x 200cm. 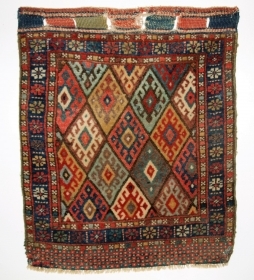 Jaf Kurd bag face with scarce design. 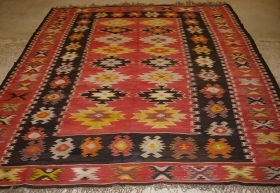 Size: 114 x 100cm. 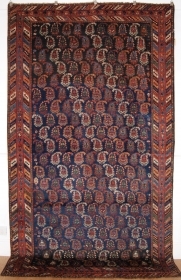 Timuri Jail Agra, impressive Size: 11ft 7in x 11ft 9in (352 x 358cm). 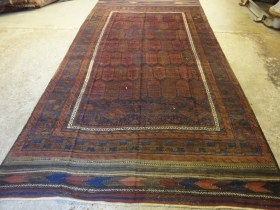 Outstanding condition. 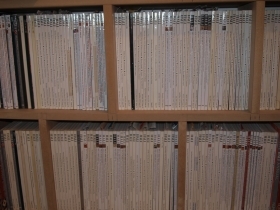 price: $9 per copy or discount for quantity.